Nicaraguans Are Losing Temporary Protected Immigration Status In The U.S. The program sounds temporary, but many Nicaraguans have been living and working in the U.S. since 1999. The United States will end a long-standing program offering temporary immigration status to Nicaraguans, following an announcement from the Department of Homeland Security. Nicaraguans have had Temporary Protected Status, or TPS, since 1999, in response to the devastation caused by category 5 storm Hurricane Mitch. Denise Gilman, law professor and director of the University of Texas at Austin’s immigration clinic, says Temporary Protected Status was designed to be a temporary form of relief for people to remain in the U.S. after natural or man-made disasters. Gilman says the president makes the decision about which countries are eligible for Temporary Protected Status. “The possibility to be granted Temporary Protected Status is set forth by Congress, but then in any particular instance, the executive branch – the president, essentially – has to designate a particular country as meriting Temporary Protected Status,” she says. The effective termination date for Nicaraguans will be January 5, 2019, but DHS says no decision has been reached yet about Honduras. “Hondurans are a pretty large community, particularly here in Austin, but in Texas in general, and so that’s impactful,” Gilman says. She says Nicaraguans who want to stay in the United States have no clear path ahead of them. Gilman says she’s doubtful that they’ll face quick deportation, though, because immigration courts already have a backlog of about 600,000 cases. 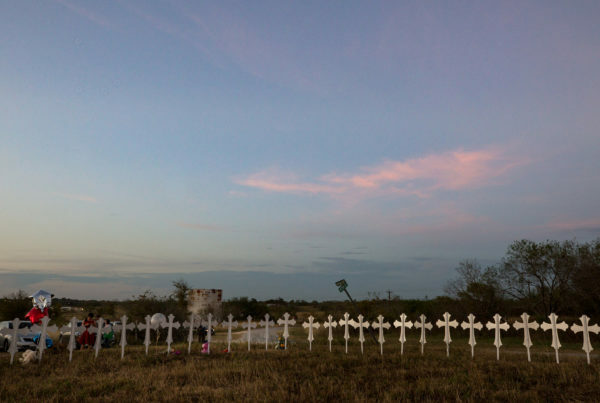 Charitable Donations Are Common After Tragedies Like Sutherland Springs. So Are Scams.